Joseph Bailey has been a carpenter for over twenty years. Due to the poor quality of his initial business plan we decided not to provide him with the capital to expand his current business. However after visiting the approved candidates, Joseph heard we were in the area and wanted to show us his workshop. We agreed to visit his home and speak to him about the proposal he had for expansion. It was clear that he was already making a profit from the materials and tools that he had in his possession. However his goal was to expand the business and employ younger members of the community in order to offer them carpentry experience. We were impressed by Josephs vision and agreed to provide him with the loan that he required. When we went to revisit him in November 2012, we were unsure of what to expect. Joseph is soon approaching his sixties, during an earlier period of his life he was attacked by a machete resulting in the loss of his left eye, we were unsure whether he still had the energy and ambition to expand a business that was highly labour intensive. Our decision to provide Joseph with funding was the right one! 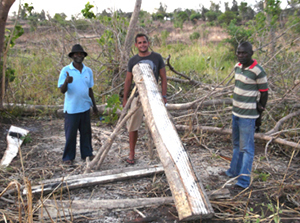 We met up with Joseph and he was very excited to show us the progress his business had made. His hard work had resulted in the business now employing five people and training youngsters the skills of the trade. This is a huge feat for someone in Josephs position. 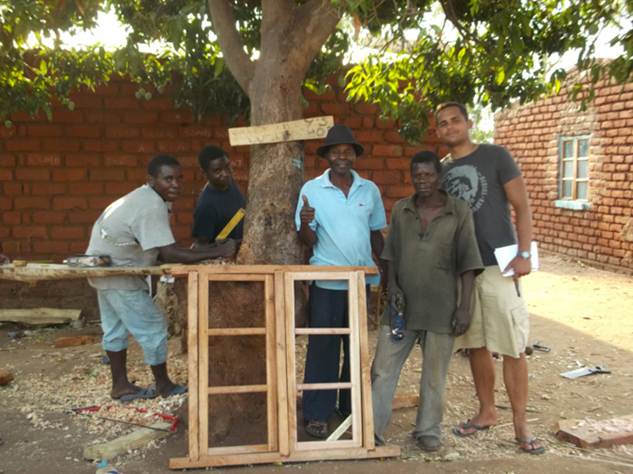 In a tiny rural village in Malawi he had been able to employ a workforce whilst training the younger community in under two months. The profits from his business have ensured that he has maintained loan repayments. Compare Josephs efforts with the other carpenters we invested in and there is a huge difference in success. The younger carpenters have struggled to establish their businesses, with very small margins making it difficult for them to keep up with loan repayments. However the veteran has shown that with hard work and experience this profession can blossom and grow in relatively small time.